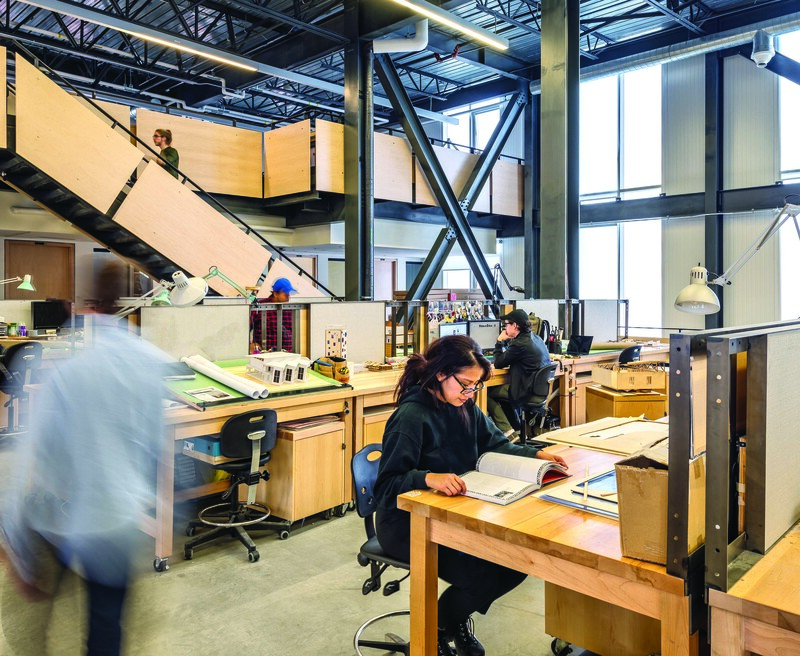 Undergrad Studio with mezzanine stairs in background. Photo by Bob Gundu. 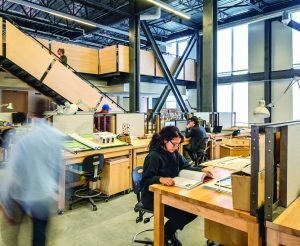 Return to "Bauhaus of the North: McEwen School of Architecture, Laurentian University, Sudbury, Ontario"